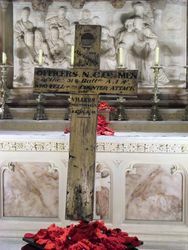 The original cross was erected on the battlefield of Villers Brettoneux, France, in 1918 and unveiled in St Anne`s Church Ryde on Armistice Day, 1934, by Brigadier General Herring in memory of the men of the 51st Battalion AIF, who died in service or were killed in action during the counter attack at Villers Bretonneaux in 1918. The cross was returned by the memorial authorities to Australia after World War One and was handed over to the 51st Militia Battalion at Ryde New South Wales. 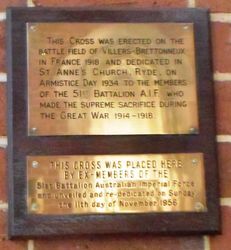 In 1956, by mutual agreement between the parishioners of the church and the 51st Battalion AIF Association, the cross was transferred to St George`s Cathedral in Perth. The cross had been erected on the battlefield by Sergeant Joe Tunnecliffe of Yanchep. Shells were roaring overhead as a memorial service was conducted by the chaplain of the 13th Brigade Padre Donald Blackwood. 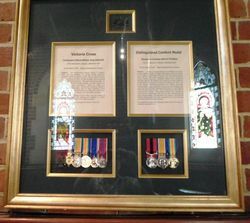 Because the 51st Battalion was largely a West Australian Unit, The State Executive of the RSL sought a transfer of the cross to St George`s Cathedral in Perth. In 1949, the parishioners at Ryde voted against a transfer. The West Australian (Perth), 18th January 1950. 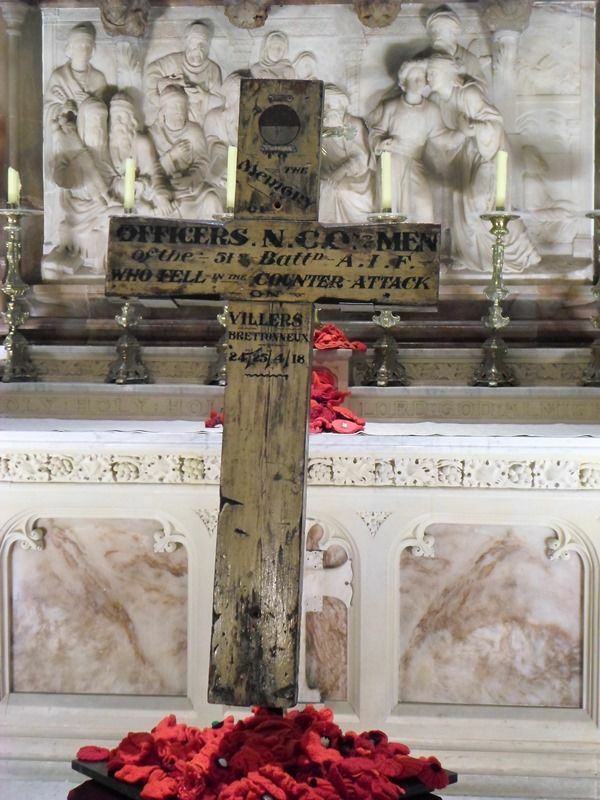 This cross was erected on the battle field of Villers-Bretonneux in France 1918 and dedicated in St Anne`s Church, Ryde, on Armistice Day 1934 to the members of the 51st Battalion A.I.F. who made the supreme sacrice during the Great War 1914 - 1918.